It's time to elect the 2019-20 Brock University Students' Union Executives and Board of Directors. You can view the candidates for each race below. Want to learn more about the candidates? Click on their photo to get an overview of their platform and much more. Not sure what each position does? Below each position title, you can download a brief job description, for what each role is responsible for. Why are you running for the position? I am running for the position because I’m passionate about enhancing the lives of my fellow badgers on campus by ensuring that The Brock Experience is inclusive and accessible by all students. I have done just that over my past involvement with BUSU, however, there’s still a lot of work that needs to be done. Through my leadership, I hope to set our path to getting that work done, and while doing so, we will strive to become one of the best student associations in Canada to serve its students. My previous experience has helped me learn so much about BUSU, Brock University, the Region and other stakeholders in the post-secondary education. I feel very confident in navigating these parties and leveraging the relationships I’ve developed to find solutions to the key issues affecting students on campus. As a student leader, I want to play my part in making your time at Brock more enjoyable and memorable. What sets me apart from my competition is my experience. I’ve been actively involved in student government for the past two years as a strong advocate for undergraduate students. Some of my involvement is highlighted below. I am delighted to run for this position as the Vice President, Finance & Administration. I have been involved with BUSU over the previous years and I have gotten to understand the services that BUSU provides our students and where the funding comes from. Therefore, I believe the student's experience can be improved through the implementation of new programs and having this be sustainable in the long term. Also, I am very passionate about finance administration and student governance, and this is why I decided to run as a candidate to serve our student population in the best manner! What makes me stand out from the other candidates is my experience with student governance and with the organization. I was previously elected as a student councillor to represent Goodman School of Business; during this time learned how BUSAC operates and understood the Student’s Union mandate to serve and represent all the students. Not only this, but I was also nominated to be a member of the board of directors, since then I have been a member for the las two years and served as the Chair & Vice-chair of the board. I have gained understanding about the internal operations of BUSU and I believe that this sets me apart from my competition. Lastly, I was recently elected as a student senator; I have had the opportunity to work with different administration committees as well as voice my concern about matters that pertain to students such as sexual violence on campus. I'm running for the position of VPFA, to better allocate costs that tailor to the student body's needs. Students are burdened with many fees and ancillary fees which are rolled up into one lump sum amount and most of the times not used on aspect's that will benefit student life. Being a student, I know how frustrating it can be when you are paying for various different expenses. One of them being, transit and yet no change is seen in terms of more frequent timings, increased operations and the overall duration. Due to the allocation of costs is put elsewhere. I want to work with students directly to get them what they want. I have the experience it takes to allocate these costs in a much more efficient way and hopefully you all give me the chance to put my knowledge and expertise to work next year! I feel as what I’m working towards is a small step to a longer financial and much more sustainable change for students. Many of my competitors are graduating next year or in their final year as of now. I am not doing this for the title or the progression in my career that this position will provide, but more because I care about the issues that surround students and will continue to. Needless to say, I will be here for an additional 2 years, hence why I will be much more passionate about the changes I plan to implement as they will also be directly affecting me in the future years and hopefully, I hope that you'll let me represent you, and plan for you in the years to come, instead of a short term. Better Food Options –More Halal, Vegan and Vegetarian options on Campus. An Improved U-Pass – More frequent bus timings, later running timings, as well as having a Sept-Sept, rather than a Sept-May buss pass without PAYING AN EXTRA $290. Food Affordability – You shouldn’t have to pay absurd high prices just to grab a quick bite. Mental health awareness – How many of us really know how to book an appointment with a counsellor or get support on campus? Improving health and dental benefits. Compensation for parking with the U pass – A discount is given off parking passes for students who pay for parking passes, as well mandatory U pass. 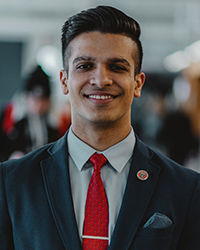 Working with BUSU and serving on BUSAC as a student-at-large representative has taught me much about the potential of BUSU and the incredible opportunities that lay ahead. …all add up to my deep passion for Brock University, and my burning desire to make it even better. Vote JALIB for VPFA on February 12-14 and let’s work together #ForABetterBrock! • Your Student-at-Large Representative on Brock University Students’ Administrative Council (BUSAC). • A member of the Finance, Planning and Sustainability committee on BUSAC. • A member of the Sustainable Information Systems Advisory Committee. • I am LLQP Licensed by the FSCO which gives me an excellent understanding of Life & Health Insurance (your Health and Dental Program is a $2.5M project). • I have worked as Treasurer for an organization with a $30,000 operating budget. • Increased my small business, Empire Fitness, from $0 to $20,000 in revenue in one year. • Generate more revenue from BUSU businesses so students do not always have to pay for future services. Promote and support student entrepreneurship using BUSU’s platform. Get optimal and effective equipment such as squat racks, dumbbells, barbells, and deadlift platforms. Lobby to reintroduce the Winterberry Route. • Increase Summer U-Pass Subsidy. Fix delayed busses by introducing data-driven schedules. Although I have past experiences that will assist me in this position, such as VP Finance for Brock’s Chapter for the Canadian Coalition for Global Health Research, as well as my position as Adventure Director for non-profit youth organization Serendib Youth Canada, among others, I believe experience alone is not enough to be considered a suitable candidate for the position. As someone who is directly impacted by the changes to OSAP being made by the Ford government this upcoming school year, I understand firsthand the struggles of Brock students. I understand that this upcoming year will be very financially difficult for many students, and I am eager to implement changes that will benefit the student body without minimizing the services that are currently being offered. I believe that I am not only able to relate to the student body, but I am someone who must overcome these challenges along with my fellow students, and I understand the measures that need to be taken so that my role as VPFA can support people who are affected by these changes. As someone who has not concentrated their focus solely in business and finances along with BUSU-related activities, I believe I differ greatly from my competition. Although many may see this as inexperience or a disadvantage to my position, I believe that this can prove to be an advantage. I have not concentrated my field in finance and administration, rather I am currently in my third year of medical sciences at Brock. I haven’t solely concentrated my focus on BUSU, but I have involved myself with other clubs on campus, such as the Brock CCGHR, Brock French Club, Brock Socialists Club, the Brock MSA and the Brock SLA. Because of my differing focus, I am able to offer a completely objective, unbiased opinion that allows me to offer a fresh perspective on the executive board. I believe the fact that I have various other experiences allows for a more multifaceted approach to different situations and can prove to be very advantageous in situations that require alternate solutions. When I was elected as a student senator, I knew representing concerns of 19,000 students was going to be an arduous task. I wanted to ensure that student representation is raw and true to their situation on campus. In the same time frame, your very own Brock University Students’ Union brought me on board as a full -time policy analyst after just four months of doing the Federal Research Coordinator job. A major part of the work load fell onto my shoulders, when last elected official for VPEA got impeached. It was at that time I realized that the job requires a robust ethic, with a lot of in-depth policy construction skills. When I represented your students’ union as Federal (CASA) and Provincial (OUSA) level, I decided that you all deserve the best representationand I shallwork work hard to offer my services with an intention to raise student awareness. I am so excited this elections to run for Vice President, External Affairs and astonished to see how vibrant and talented other individuals are, those running against me for the same platform. Last I checked, changing schools do not make you smart but shifting workplaces does, so here; my work experience extends over three different country. I highly doubt that other individuals, while they bring great experience on the rostrum, won Harvard World MUN while representing Brock University. I have also participated in numerous Policy championships across Ontario and currently I am the primary author for the provincial policy paper that is going to end up in Queen’s Park. By this point it is likely you have heard of the sexual assault allegations that have been made against a specific Professor on this Campus, and how they were allowed to teach a class again as a result of binding arbitration between the university and the Brock University Faculty Association. This case is horrendous, and was mismanaged on both sides to allow it to get to this point. What you probably did not know is that the University Senate has oversight over student rights and responsibilities, as they pertain to academic concerns1. What you also may be surprised to know is that these rights and responsibilities don’t speak at all to issues of safety within academic spaces. Which is EXACTLY what I am pushing for. As Chair of the Undergraduate Student Senate Caucus (USSC) I’ve worked to partner with Graduate Student Senators to develop a plan, moving forward, to address these gaps in both Undergraduate and Graduate Rights and form a unified effort to have issues of safety in academic spaces addressed by the Senate. Do I believe this is the only way to address sexual violence? No, but I do believe that changes in policy can have a serious effect on climates and spaces, and this is an excellent place to begin this journey on addressing a culture of sexual violence on this campus. With the recent changes from the provincial government, including a 10% tuition cut and changes to the structure of OSAP and Ancillary Fees, it is more important than ever that students continue to have access to this campus that is advantageous. Many students take courses in the evening, and access the campus on the weekend because of the fact that parking is no additional cost to them. This is particularly true for students who do not have comprehensive transit service on weekends, which is an issue for many students that live outside St. Catharines. Given these sudden changes, the university ill be looking to make up a shortfall of revenues through any means possible, and parking, which faces no limits on the increases that could be enacted, is an issue that will significantly affect students. As a result I will lobby to maintain the current free parking program, and partner with the institution to limit the severity of any parking increases, keeping student concerns front and centre in any discussions. The location of our campus puts students at a severe financial risk, because the proximity of places to live, as well as geographical access limitations mean that a large percentage of the population relies on a car to get to campus, we need to make sure that cuts don’t result in unfair increases and the elimination of programs that students have already come to rely on. I’m an international student, so this issue really rings home for me. Generally speaking I pay over three times the tuition and fees of an average domestic program. The recent 10% cut in tuition, and the subsequent tuition freeze, only affects domestic students. International students, like myself, face the prospect of unrestricted and potentially unlimited increases to the cost of attending university. Even before this, domestic students have had their annual increases limited to 3%, and generally no more than 5%, whereas international students have never had these restrictions. As a result, the different in the cost of education between our two groups has become difficult to manage. What I propose is working with the university to create a system of predictable and manageable increases for international student tuition. In this model, once a student accepted and enrolled at Brock University they would have their year of year increases limited to 5%. While new and transferring students would be assessed tuition based on that increase, the following year they would benefit from these increases being capped. Capping increases in relation to the amount that a student would pay upon entry, meaning that increases would be predictable and sustainable for international students, improving retention and quality of life for all international students. I’m glad you asked! In addition to these three central themes, I also want to address the biggest component of the Vice-President, External Affairs portfolio, and that is provincial and federal advocacy. The majority of the VPEA’s job is working with partners, and lobbying others at both of these levels, with particular focus paid to provincial advocacy, as education is primarily the jurisdiction of the Ontario Provincial Government. As you may or may not know, BUSU is a member of the Ontario Undergraduate Student Alliance (OUSA). This group is made up of eight student unions in total, and they are governed by a Steering Committee, of which the VPEA is a member. Essentially a Board of Directors, this group elects an OUSA President, VP Administration and a VP Human Resources. While BUSU has seen scattered representation at this level, it has rarely acted as the President of OUSA. This is a significantly missed opportunity to increase the visibility of experiences that are unique to Brock University, and showcase the strength that our student leadership brings to the table. BUSU was one of the founding members of OUSA, back in 1992 and yet our place at the leadership table has not reflected this. If I am elected I will work hard for this role, for the benefit of BUSU and all students at Brock University. In addition, I know that the VPEA will also have the opportunity to co-author one or two policy papers in the coming year, two of significant interest to me and brock students are the Sexual Violence Prevention and Response Policy Paper and the Ancillary Fees Policy Paper. The Sexual Violence Prevention and Response Policy Paper is of significant interest to me because of what has taken place at Brock, and while I don’t believe these issues only happen at our campus I believe that what has transpired would provide an useful lens as we develop this paper and work with affected groups. The Ancillary Fees Policy Paper is also significant because of the traditional underfunding Brock University has experienced. Brock currently relies more on these fees then many other institutions because our government support is not as high. Having a BUSU lens on this paper would greatly impact the perspectives taken for research. I believe in both cases I would be the candidate best positioned to address these concerns to create the strongest policy paper possible. As education is primarily a provincial issue, federal advocacy does not often get the focus is deserves. This year is an election year, which means that there is a very real opportunity to ensure that student voices and experiences are heard by relevant decision makers. As the VPEA I will work with the Canadian Alliance of Student Associations (CASA), our federal partner to identify concerns specific to our campus and plan to lobby for changes that could be made at a federal level. These would be primarily concerned with Indigenous and international students, as well as improving the availability of federal grants and funding. Specifically, I would push for greater financial support for institutions to implement recommendations made by the Truth and Reconciliation Commission (TRC) to help address the limited levels of decolonization and indigenization of university campuses. I haven’t stopped rolling out my platform points, I believe that there are still more issues that need to be addressed, and I have no interest in stopping as long as I believe these concerns can managed and the problems solved. Cuts to financial aid, disability-related barriers, holes in mental health services, and mishandling of sexual violence. These issues must be confronted. I made the #BenCares platform not for my own benefit, but for what students truly need. Because of my extensive involvement, I’ve seen how wide these issues are and the need for strong leadership from the students’ union. Executives in the past have let down the student body, and I’m here to make sure this doesn’t happen again. Passion, authenticity and commitment. When I joined BUSAC as a councillor in my 1st year, I was also elected to 3 committees and contributed extensively to the point where I was awarded ‘BUSAC Member of the Year’ by the Board of Directors. I go above and beyond and never settle for mediocrity. Over 2 years with BUSU, I have accomplished more than my competitors, such as advocating for discounts for international students and Residence Dons, as well as adjusting the Brock Leadership Development Programs to eliminate cultural and disability-related barriers. I volunteer with the Ontario Undergraduate Student Alliance (OUSA) to draft policies and am writing a Mental Health article. I get things done, and I do it for the purpose of building inclusivity, community, and spirit. I am running for this position for the sole purpose of why Student Unions were created in the first place, to magnify the voices of students and advocate for what their rights and desires are. I firmly believe that the role of the VPEA is integral when it comes to advocacy and lobbying efforts, and I further believe that I can be the microphone that amplifies the voices and concerns of students. Through my involvement with BUSU, Brock and the Greater Niagara Region over the past three years, I have been privileged enough to learn, grow and experience an undergraduate life unlike any other, and thus, it is now my turn to give back. I am passionate about the issues I fight for, and am running to be the next Vice-President, External Affairs to truly break barriers and build a BIGGER and BRIGHTER future for us all. Highly doubt that my opponents have moved five different countries or have studies at eight different schools, so there’s that! Regardless, there are a variety of variables that make me stand out from my competition. First off, my extensively consistent engagement and involvement with Brock over the past three years sets me apart from the other candidates. I have held several jobs and positions across both BUSU as well as Brock and have learnt the intricate policies and functioning abilities of both organizations. Within BUSU, I have made my way from being a first-year volunteer, to a Student-At-Large Representative, to the Speaker for the Students’ Union. Second, my personality, work ethic and ability to connect genuinely with people is something I find highly integral to the role of the VPEA, which I certainly possess. I’ve been a part of Model United Nations for seven years, been a part of teams my whole life and definitely know The Office Trivia better than the rest. I am running on a six-platform point campaign, addressing some of the pressing issues and needs of the student body. Through the potential opportunity of being VPEA, I hope to create a safer and more aware environment by preventing and responding to sexual assault. Along with being safe, students should feel content and happy with their experience at Brock, which is why I want to create greater mental health initiatives and connect students to various resources. With the current Government cuts in mind, I want students to feel as financially secure as possible, which is why I look forward to creating a used books catalogue and lobbying the university for free printing. Through focus on community engagement, I hope to build stronger municipal connections. Finally, I want to create transitioning programming for international students, so they too can truly experience, Brock. If elected, I hope to achieve all of these goals, in addition to representing and voicing what the students of Brock University want. I remember walking into our brock campus as a first-year student, I remember how difficult it was for me to navigate not only myself but navigate my passion. I got help and once I got the help I needed, I got inspired to help others and that has been my passion over the past three years. I have had so many ideas that would have a great impact on the student body however, I have not been able to achieve it due to a lack of resources. I have spoken with a great amount of current and past executives during this period and have decided that In order to see the change, I must be the change at my university. It is with that great driven mindset that I decided to prepare and dedicate myself to understanding the job and what it entails. After a lot of preparation, I am willing to learn and advocate for the institution. I am not claiming to have all the answers yet but I am willing to go above and beyond carrying out my duties if I am elected. What exempts me from the rest of my competition is the fact that I aim to provide services and programs that would be beneficial to students academically as well as personally. That being said, my personality is relatable, very approachable and transparent which are the three vital characteristics to have if you are a nominee as well as the attributes that make one a good leader. Growing up with a common surname, it gave me a sense of community whenever I come across people with the same name. This has transpired into my life at Brock. Being called a "BADGER" has provided me with that sense of family and in order to provide adequate services and programs for my family, I have to see from their point of view. It is that fundamental belief that I am my brother and sister's keeper that brings us together and it is with these attributes I know I am qualified for the role of Vice President Student Services. To empower and motivate all of our badgers at Brock. I see so much potential within the university, the amount of candidates running in the elections is proof of that. I believe in personal development through volunteering and success through team work. I want more students to volunteer and to break out of their shells so that they can work to becoming the best version of themselves. This same level of energy that was presented to me in first year through Orientation week and all the helpful volunteers that aided me when I needed them; I wanna give back because of that. I wanna motivate you and get you pointing to the right direction when it comes to your involvement on campus and what area of interest that you desire. Badgers, I want to be your Coach of student experience! I have been volunteering ever since I was in my first year with residence, move-in day, O-week, Brock Marketing clubs, YOU NAME IT! I've had the chance to be Spotify's Student Brand Manager at Brock University for two years in a row! I've been on the advocacy team as a volunteer and have represented Brock at the Ontario University Students Alliance and helped bring provincial wide changes to finance in academia. I've been a temporary board of director and have served on BUSAC for two years while coming into a tie for first place in my 2nd BUSAC election. I've managed clubs and volunteered with them. I've been on vendor fair and I've even worked at the pen centre. I am now a founding father of the Sigma Chi fraternity on campus where we've collectively raised thousands of dollars for cancer research! My competition is certainly well experienced no doubt! But I provide the best balanced experiences of involvement! 1. More puppy/kitten rooms on campus. We all enjoy some puppy and kitten destress time, so why not have that more often! Showcasing underrated but amazing resources and items available for use by students at the Brock makerspace complementing the already successful student success week. 3. Refitting Microwaves and student tools. Brian Horvath brought us microwaves, but we've lost some on the way. Time to re outfit our microwaves at Brock. I wanna see Badgers on the stage! Fighting to bring more student talent to Brock events like O-week, homecoming, & frost week. My time with GoLive Brock has provided me with enough experience in understanding the local Brock talent community. The role and responsibilities of the VPSS are to integrate the community and its constituents. The VPSS should not only focus on developing a growing culture with all the different clubs on campus, but also to create diversity and a solid platform on which these clubs ought to showcase their talents. 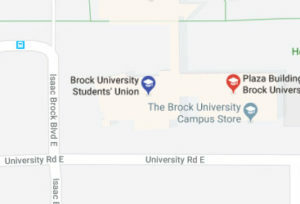 Many students do not know about the Brock University Students’ Union or their services that they offer to the students. Additionally, many smaller student groups and communities on campus such as the Aboriginal Students Association and the Brock International Centre, are often overlooked and left without due attention and resources which the student union ought to offer. I would like to use my creativity, passion and dedication to bring the knowledge of the student union and its’ services to the student body. I am running for the position of Vice President Student Services in order to continue to fulfill my duties to the students as well as solidify all the platform points that I have already progressed from my time as the Vice-President External Affairs as well as from my time at Brock. I should be elected as the VPSS because I've demonstrated my love and commitment for the community time and time again. For example, in 2015 some girl found a caterpillar in her vegetable cup in market. The administration did nothing, the student union did nothing but me? Me and my friends went around and collected 10, 000 signatures to try to better the food system on campus - all whilst BUSU wouldn't touch it with a 10' poll. I don't flow with the status quo in BUSU. For example, I was the only person to stand up against the president of BUSU and every single person on council - in front of Brock TV, against the $100 fee that BUSU is charging students. I am not pro taking more money from the students, I am pro using the money we have more efficiently to give students a BETTER & more AFFORDABLE experience. That being said, if I am going to continue to not flow with the status quo and if I am going to continue to ALWAYS seek what is RIGHT, then I will make enemies. I WILL NOT ever give them a reason to reprimand me again. I WILL, hold myself to a HIGHER STANDARD, on ALL the rules they break themselves. Campus Culture: will be addressed by beginning the processes for an ice rink, which is merely a matter of logistics, such as time, location, safety etc. Additionally, I would like to continue to work with relevant stakeholders in the community such as high school coaches, to see how we can establish a football program at Brock - whether it be varsity, or if we need to begin it as an intramural team first. Mental Health: Create a diversity of programs that not only help students when they are going through mental or emotional struggles, but also to help students develop mental resilience throughout the year - especially during stressful exam seasons. One example of this is the campfire program that I've already established which is a collaboration between BUSU, the International student centre and the Aboriginal Student Association. Last semester over 100 people came to each of these campfires where we students brought their guitars, we roasted marshmallows, listen to music, made s'mores etc. I would like to establish this program further by having campfires every 2 weeks throughout the year to help student destress, promote culture, friendship and community. Strong Student Advocacy: You need someone who has guts ti continue to push for some very difficult platform points such as food affordability. In my previous work with administration there has been significant progress in this matter. For example, upon the expiry of the current company’s contract (Sodexo runs a monopoly on food services), the food system will go to RPF (Request for Proposal), where the university will be accepting offers from new bidders. This is the first of its kind in the last 40 years. The VPSS plays a big role in bringing students together and making Brock feel like a second home. As students it's difficult moving to a new place, being far from your family, and only knowing a few people. I want to improve communication between students and the executives. There are so many clubs to join and events hosted weekly that it's not hard to find something you'll like. But a big problem is promotion of what Brock can offer its students and how they can be more integrated into the community. I would like to bring a different perspective and approach to the role of VPSS. Every year the candidates seem to have very similar platforms mostly focusing on bettering current events. I will improve our current events and I will be introducing new events and activities to get our students excited again. I want to cater to all types of Brock students by planning new and engaging events. I want to increase school spirit, student involvement, student satisfaction, and be a voice for the students. I have been actively involved in different clubs and volunteering activities every year that I've been at Brock. I'm a well-rounded person with interests such as dance, working out, student government, hair styling, barbering, broadcasting, and school spirit. Some experiences include Residence Action Council as a Building Advocate, Roots Treasurer, BUSAC Student at Large, BUSAC Goodman School of Business Representative, Appeals Committee, Live4Dance, Pep Rally performer, O-week volunteer, and Homecoming volunteer. These experiences helped me to feel comfortable at Brock and be integrated into the community. I will always put Brock students first. Also, my platform points are unique. My platform is full of creative ideas that will enhance the Brock experience at a low cost to Brock and its students. It’s a win for everyone! 1. "Brock's Got Talent" Show : There are so many talented students here at Brock. This show would be very entertaining and would be a bonding experience for our students. I would like this event to take place during Frost Week and there will be prizes for the top 3 winners. 2. FREE Manicures and Pedicures! This would take place during wellness week. I would make this free to Brock and its students by partnering with the nail technician students at Niagara College. 3. End of Year Carnival: It would be a nice way to say goodbye to all of our friends heading to different places in the summer and adds variety to the type of events that Brock hosts. There would be a variety of carnival games, rides and food. 4. "The Brock Ball" Dance: This would be a dinner and dance with a formal dress code. Tickets will be affordable and you can finally wear your prom dress or suit again. All proceeds will go to charity. 5. FREE lunches: This is for the students that don't have morning classes, like to sleep in, or simply like lunch foods more. To make it succinct, I believe I can do a great job representing the student population. I am very outgoing, social, easy to talk to, get along with most people, and these qualities allow me to engage with students and get a real feel for what they actually want. I am also very good at forming arguments and thinking on my feet, as well as problem-solving, and this means I have a good chance of actually solving whatever problems come around, and pushing through my platform points and anything I may argue for in the future. In the end, what it comes down to is that I believe I can do this job and do it well. My slogan is "speaking for you and with you," and this represents my personal philosophy well; I don't want to push my own agenda, I want to push your agenda. I am a first-year student, and I want to make a difference in the school. No first-year has ever been elected for the executive branch, but I truly believe I can make Brock better for all of us. I am not a politician, and if you elect me that isn't what you're getting. However, you are getting somebody who will happily stop and have a 10-minute talk with you in the hall, or meet up for food to discuss platform points, or answer a silly question you may have at 3 AM. My career of choice is a skydiving instructor, I have already jumped several times and am working towards getting certified. I have gone rooftopping in Toronto, been to a few parkour gyms, and regularly go to rock climbing gyms. My dad owns retail stores, and my mom's side of the family does wholesale business. I have worked unsupervised in my dad's stores since I was 12, and I have helped my grandfather with price negotiations since the age of 15. On top of this, I have worked as a supervisor at a high-end Italian restaurant in Toronto, as a senior rock climbing instructor at two separate camps, and in several other positions as well; my extensive work experience is all around developing interpersonal skills, and the business experience has allowed me to be great at thinking fast and forming arguments - essentials for the job. I want more events overall, especially free ones, such as more movies like the one we had in the field earlier this year. A large subset of that is events based on physical activity. This includes more sporting events like a dodgeball tournament, and more "fun" events such as ax-throwing or a big game of capture the flag. These events are low cost and hold a high amount of people, and are conducive to making friends. The cafs are run by Brock and not BUSU, but I want to target them and try my best to negotiate healthier and more affordable options. Other schools have much better cafs, and this is the biggest complaint I see among first-years. Longer hours on Fridays and Saturdays are also something I want to push for. If that is unsuccessful, I plan to work with local grocery stores to deliver prepared food at a reasonable cost. Reworking frosh and making it better is a big goal I have, starting with the headliner show. Frost week as well could definitely be improved, there was close to nothing major. I am saving space for current BUSU discussions, and anything else that may arise - this is an evolving job. Every student deserves a voice and every student deserves to be accommodated for. I am running for the VPSS position because I feel that I can improve aspects of BUSU by incorporating the opinions of the student body and by fostering a culture of diversity and inclusivity. If everyone's suggestions are heard, changes can be implemented that would ultimately benefit both my fellow students and Brock as a whole. I believe that I have some great ideas that can sustainably develop Brock for generations to come. I specifically chose VPSS because this position allows me to focus on the student experience, which I am passionate about building on. Our University experience will always be remembered as a time of learning, growth and fulfillment. As a representative of the students, I know the importance of finding solutions that are beneficial as well as practical. Through commitment and a strong work ethic, I will work towards building a stronger sense of community within Brock, in an inclusive manner that ensures we can all make the most out of our University years. I believe that I am qualified to do so, listening to the ideas of my colleagues and fellow students, while putting forth an effort to create an environment that improves the student experience for everyone at Brock. I am an organized, adaptable and dependable student; all attributes an executive such as a VPSS should have. Brock’s student body consists of a diverse population. Therefore, more halal, kosher and vegan options need to be more available for the Muslim, Jewish and vegan population at Brock. This would not be difficult to implement, as it would only take small changes. I think almost every Brock student has had a nightmare about navigating through Mackenzie Chown. To solve this problem, a more detailed interactive map of Brock will be implemented. The map on the Brock website will be updated so that it will now allow students to type in their classroom and see a visualization similar to Google Maps. I plan to implement a designated nap room at Brock, featuring enhanced privacy and sanitation. Current sleeping pods lack privacy, creating an uncomfortable setting for some students. This compromises comfort and results in reduced use of this important service. If a nap room is introduced at Brock, the user will be in an atmosphere around people trying to do the same thing... NAP! Furthermore, Lysol wipes would be available for the user to wipe down the sleeping pod before and after each use. I am running for VPSS because I am passionate about student engagement and I am excited for the opportunity to take my experiences to help support the amazing events and initiatives that are in place for Brock students, and help work with the BUSU team to make sure that we can reach every student so that they love their school as much as I do. Brock and it's students have so much to offer for involvement and it has made a world of a difference for me being a part of it over the past 5 years. I am running for VPSS because I am so thankful for all of the opportunities and experiences that I have had during my time at Brock and I would love to be a part of making someone else excited and proud to be a Badger. The students of Brock are fortunate enough to have a handful of qualified candidates to choose from for the position of VPSS, so first I want to congratulate my competition on their achievements as we all have a lot to offer. When looking at our qualifications, in comparison to the other candidates I am the most experienced and well rounded which sets me apart. In my 5 years I have been a Club Member, a Club Executive, a Smart Start Team Assistant, an International Student Conversation Partner, BUSU's Clubs Coordinator and BUSU's Student Life Coordinator. I have also been heavily involved in supporting athletics games as a fan and representing Brock at a number of external opportunities including the Ontario University Fair and Fan Expo. What makes me different from the other candidates is that I seek every opportunity to be involved and am so passionate about the difference that student involvement can have on anyone's university experience and I hope to use this platform to make those involvement opportunities better and more available to all students. - Increased Volunteer Opportunities: better networking opportunities with on and off-campus partners, professional development and incentives to show appreciation for our amazing and passionate BUSU volunteers. -Stronger Athletics Support: strengthening the fan experience for athletics events with BUSU support and creating more student-lead volunteer opportunities to bring this fan base to a number of athletic games. -Diverse Events and Programming: hosting additional wellness events in residences to support mental health for first year students. bringing events to the international centre to reach more students. -Inclusion-Based Workout Spaces: working with Brock Athletics to ensure that the Zone Fitness Centre expansion is an inclusive space for all students. -Better Options for Club Marketing: improving that platform that clubs have to share their events including promoting in residences. providing clubs with opportunities to collaborate with other departments in the university to support their events and reach more people. My leadership and engagement circulates the Brock community. All of the initiatives which i've had the privilege of being a part of has stemmed my love of activities/events, community, and student life. Through all of my experiences, one of my favorite things was hearing different student voices: either engaged in clubs, or while doing rounds as a don; I saw students in their prime and amidst crises and I learned how I could best help in both situations. In short I'd say that I am a "go-getter" who loves to plan and execute events and bring the community together, it is because all these things and the fact that I could better emphasize the students voice on a lager scale to make sure they are being heard and in general represent all of our students to the best of my ability that I decided to run for VPSS! I have been involved with the Brock community my entire university experience. From attending court meetings/DA events, to becoming a Don of Activities and hosting weekly events for the students of residence, to being a member of a club, to founding a club, to being the clubs coordinator and talking with clubs on a daily basis to volunteering with BUSU to working on the advocacy street team and talking to the students in the halls about various campaigns and attending other events surrounding sports, OPIRG, or club initiatives. With my experience across the different areas of student life I believe I stand out as I have a more rounded understanding of the greater student body as well as the drive/ action plan to give the students the experience they all deserve! I am deciding to run for the Board of Directors because I have a true passion for working to create an environment where everyone has the ability to learn and perform at their full caliber. In summary, the Board of Directors works collaboratively to tackle various problems around HR, helping to approve BUSU’s operating budget and provide input on legal matters. I hope that by working in these three sections, I will have an opportunity to further improve a system in which helps other elected officials to make specific decisions that further aids in the growth and development of Brock Universities student body. I am involved in a plethora of clubs that have helped me develop as an individual and a leader. Being a Brock Senator has allowed me to advocate for undergraduate students needs around various academic policy. This has helped me to understand why a system has to be constantly under review in order to match the needs of its consumer. With this lesson learned, I will work collaboratively with other members to improve policies to ensure that BUSU is running efficiently and effectively. I am also this year’s treasurer for the Brock Leaders Citizenship Society. With the knowledge of budgeting and financing multiple events, I have learned how to properly advocate for events that are representative of the member's needs and their benefits. I will use this knowledge when approving the Operating Budget because as I will ensure the money being spent is parallel to Brocks students’ interest and needs. I will be running on the following platform: accountability, transparency, and fiscal management. Accountability will be a prominent role as throughout my campaign and my term. Throughout my term, I will continue to emphasize that all executive officials including myself, are representing the voice of students and that our actions and decisions reflect the desires and needs of students. Within my role, I hope to work collaboratively to create policies that hold executives accountable for their platform points, and their actions. I also will be running on transparency which focuses on communicating key information and the board's rationale in a professional manner to the students while maintaining a level of confidentiality to ensure the integrity of in camera sessions. Last but not least, I will also be focusing on Fiscal Management. I will make sure that the money being spent is parallel to Brocks students’ interest and needs. I want to make a change at Brock and help the students have the best possible experience they can. I know I can make the best decisions for them and keep the people in positions of power accountable. I am the solo candidate running for the 2 year position on the board of directors so I don't have anyone to stand out from. But as an individual I am driven, passionate, and I care about the students of Brock. I am willing to put in the time and work hard in order to make the University a better place.